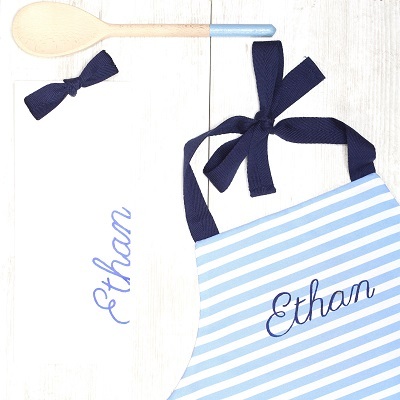 Croque-Maman presents its unique personalised children’s apron in navy blue. 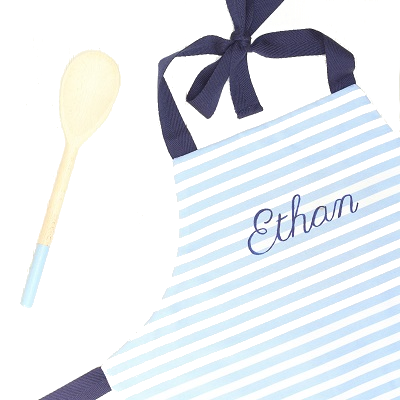 Made from 100% cotton, this kids apron is hand personalised. 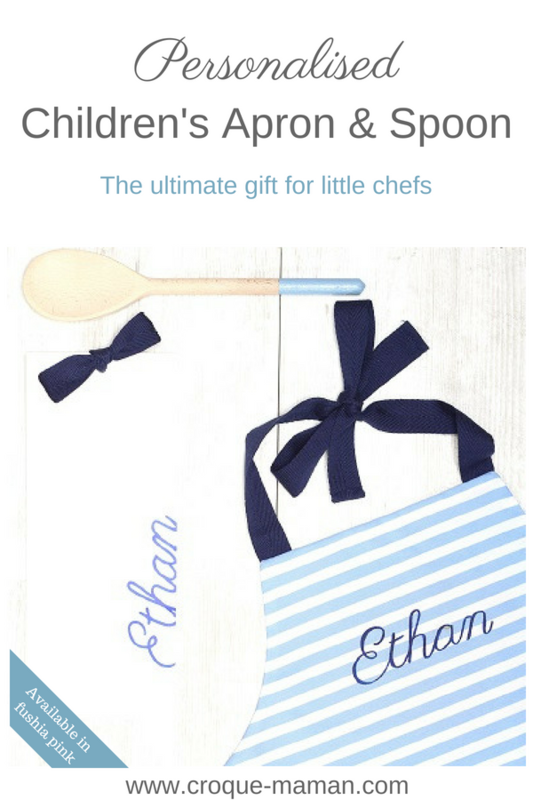 It comes with a beautiful children size wooden spoon decorated with organic natural paint. It is packed with love in a delicate personalised gift bag. Available in one size of 3 to 8 years old. Let us know what you would like to have written on the apron (up to 12 characters) in the “Order Notes” when checking-out. 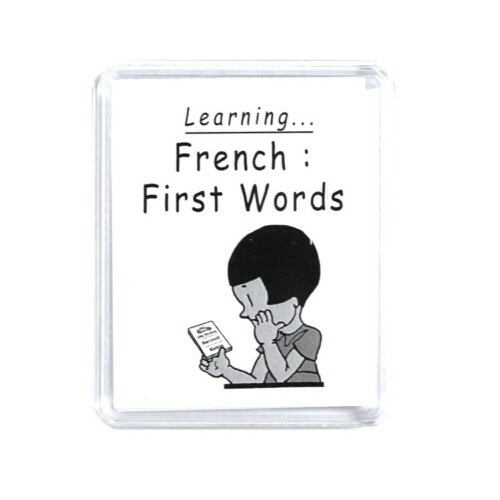 If you have any questions, please do not hesitate to e-mail helene@croque-maman.com. 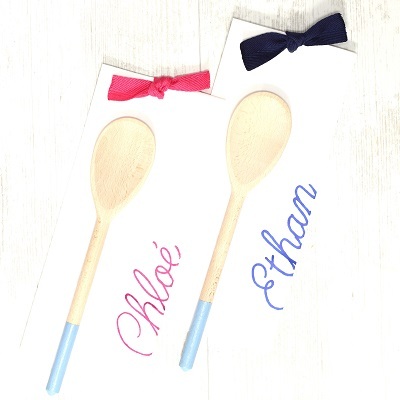 Available in fushia pink: personalised children’s apron & spoon, fushia pink. I bought 3 aprons for my 3 children and they love them! They all have their names beautifully hand written on it. I am very happy with the quality and my children look really smart when they help me cooking. 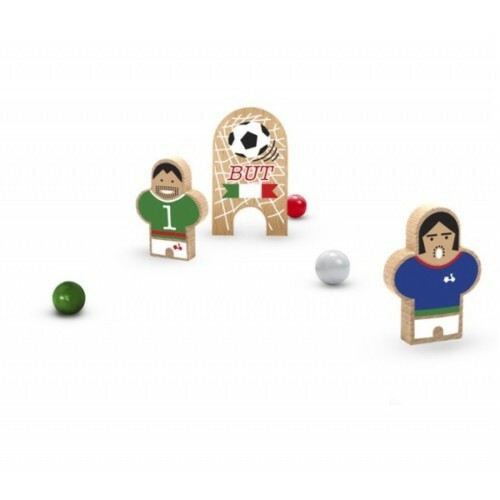 I will definitely buy this product again, they make very original gifts.